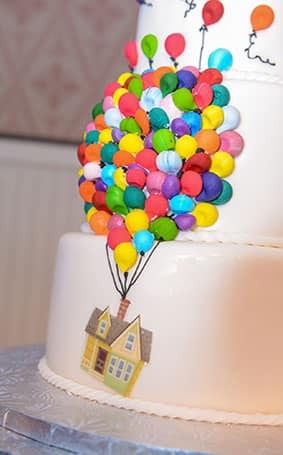 This whimsical cake is directly inspired by the heartwarming film, Up. 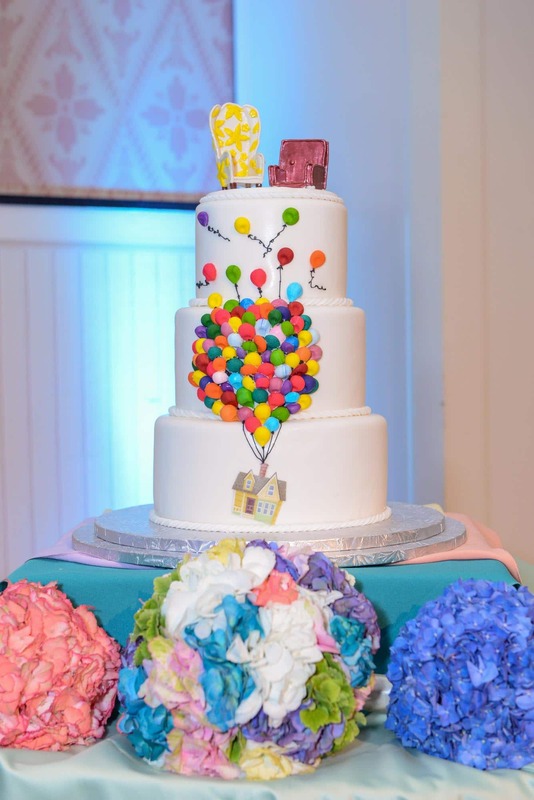 The iconic balloon scene takes center stages across these three-tiers and even pops off the cake. Carl and Ellie's tiny house floats on the bottom layer as the balloons of every color soar above. 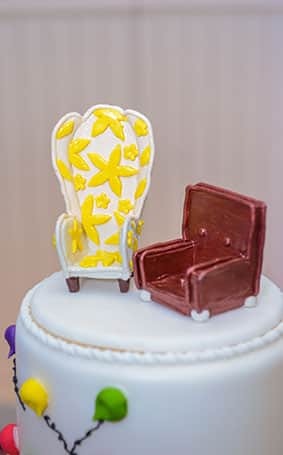 Completing the theme are the recognizable chairs from the film: her ornate, curvy colorful one and his square, practical armchair. This wedding cake is definitely a great start to a whole new adventure.